An extremely comfortable sailing boot constructed from hardwearing natural materials, resulting in a 100% waterproof boot with breathable, fast-drying inner lining. Read more.. 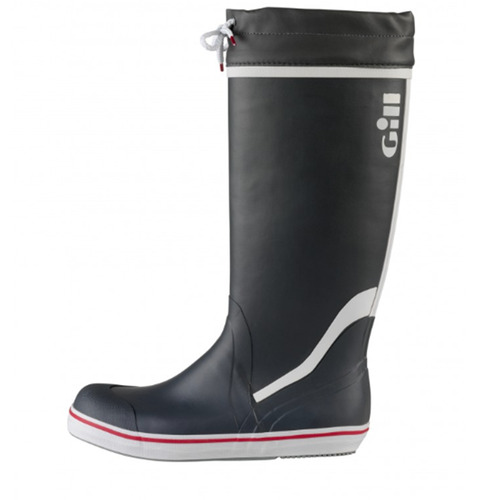 This short Wellington-style boot from Gill has all the hallmarks of an iconic sailing boot. It's well constructed from fantastic hardwearing natural materials and is 100% waterproof, but with a breathable and fast-drying inner polyester lining, and superb removable cushioned inner-soled for outstanding comfort. Non-marking and non-slip, these razor cut outsoles will work well no-matter if you're out walking or rigging your boat in the nastiest of weather. With a short rise, these boots are extremely comfortable and just roomy enough to tuck a pair of trousers in around the calf when on or around the water. The flexible razor cut soles bend and flex in 360 degrees around the foot, providing a great grip and plenty of friction ensuring you'll maintain a great footing and never slip whilst aboard. The natural rubber outer has reinforcements at the toe, heel, and instep to create a flexible but sturdy sailing boot that adapts to and supports your feet, allowing you to keep your footing no matter your environment, without sacrificing the boot's good looks. 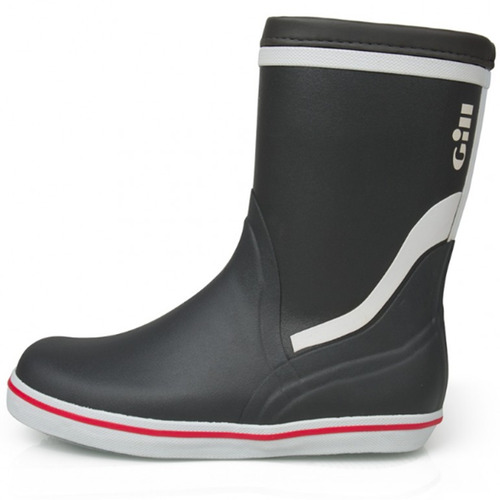 Available in a classic Graphite grey with white and red trim, these short rise sailing boots will look great whether you're wearing them to walk the dog or rigging your boat. 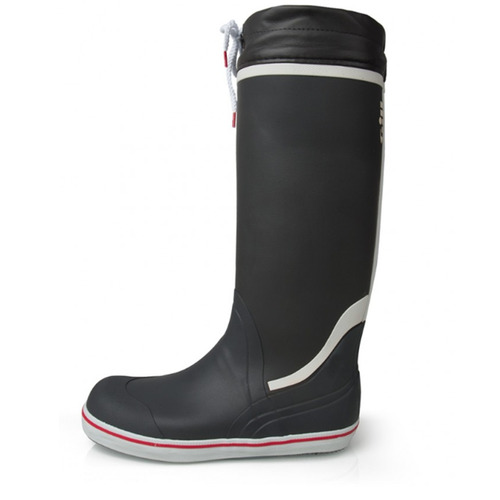 A stylish wellington-style sailing boot that provides superb..
An extremely comfortable sailing boot constructed from hardw..